In anticipation of future onsite visit activities of the Asia-Pacific Accreditation and Certification Commission (APACC) in Malaysia and to better prepare polytechnic institutions and community colleges for the requirements of regional quality assurance systems, an in-country program focusing on the Quality Assurance in TVET through APACC Accreditation was held at the Politeknik Kuching in Sarawak, Malaysia from April 23-27, 2018. It involved the participation of 40 administrators from all over the country. Ms. Therese Lee, the program coordinator (center) signs the Guest Book as officials from Politeknik Kuching observews. Themes discussed during the 5-day event included the concept of quality assurance in TVET, regional quality standards of TVET Institutions, methods on Self-Assessment, Implementing Quality Assurance in TVET, Internal Quality Assurance for TVET Institutions, External Quality Assurance through APACC, Issues and Challenges on TVET Quality Assurance and Best Practices in ASEAN Countries on TVET Quality Assurance Systems. The program was supervised by the Director General of CPSC and President of APACC, Dr. Ramhari Lamichhane and the Director General of the Department of Polytechnic and Community College Education, Prof. Dato' Dr. Mohd Ismail Bin Abd Aziz. CPSC’s Faculty Specialist, Ms. Therese Tan Lee was the overall coordinator of the program and the main resource person. Program logistics on the other hand was facilitated by Nurhafizah Binti Yahaya, Senior Assistant Director of the Professional Excellence Division at the Department of Polytechnic Education. A discussion of the local scenario meanwhile was delivered by Ms. Yusma Binti Yusof, Deputy Director (Academic) of Politeknik Port Dickson (PPD) and Pn. Noor Aidi Bt Nadzri, Director of the Curriculum Development Division, Department of Polytechnic Education. 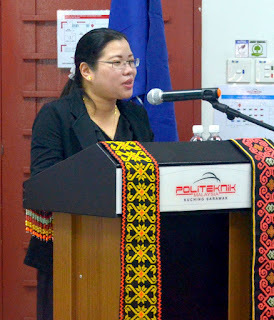 Ms. Therese Lee, ICP Malaysia Program Coordinator, addressing the participants on behalf of CPSC. 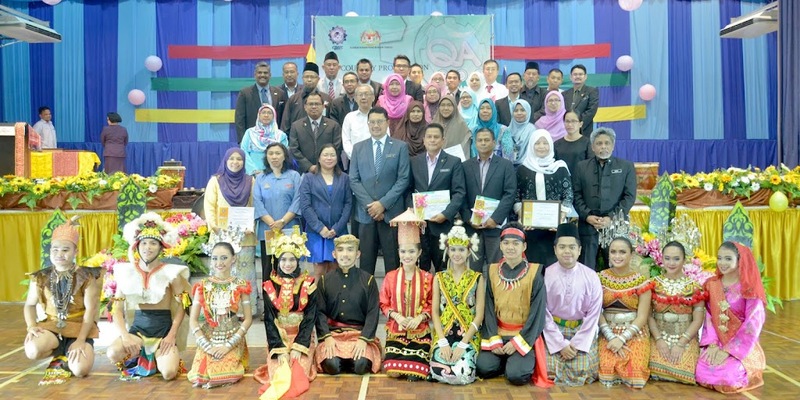 The opening ceremony was held on April 23 and attended by several officials from the Department of Polytechnic Education namely Mr Haji Mohamad Amin Bin Hamat (Deputy Director General for Strategics), Mr. Mohamad Isa Bin Azhari (Director of Professional Excellence Division) and Dr Zainal Azhar Bin Zainal Abidin (Director of Instructional and Digital Learning Division). In his opening speech, the Director, Polytechnic Kuching Sarawak, Lt. Col. Bersekutu Kalamudin Bin Daud, welcomed the participants of the program and cited the progress that the institution has done in the past years. He also wished for the success of the participants in their preparation for APACC activities in the future. During the 5-day program, the participants were able to prepare process flowcharts, analyze cases, prepare quality assurance implementation plan, conduct a mock compliance audit and prepare action plans as part of their. They were also able to examine each APACC criterion as a way to get ready for possible challenges that may face during the actual audit exercise. The program ended on a high note as a cultural presentation showcasing the rich and interesting dances of the State of Sarawak was performed by the students. In response to the organizers’ hospitality and the cooperation of the participants during the duration of the event, Ms. Therese Lee cited the relevance of this program in facilitating the identification of the institutions’ status in “terms of providing quality TVET training and extension services to all of its stakeholders”. She also mentioned the need for the participants to take as many learnings as possible to their respective institutions and encourage the adoption of quality standards in their respective operations. In conclusion, she thanked the participants for their cooperation and willingness to learn. She also wished for the success of the institutions in their future journey on APACC accreditation. (Left photo) Ms. Therese Lee with some program participants during the closing ceremony. (Right photo) The participants doing a mock audit.